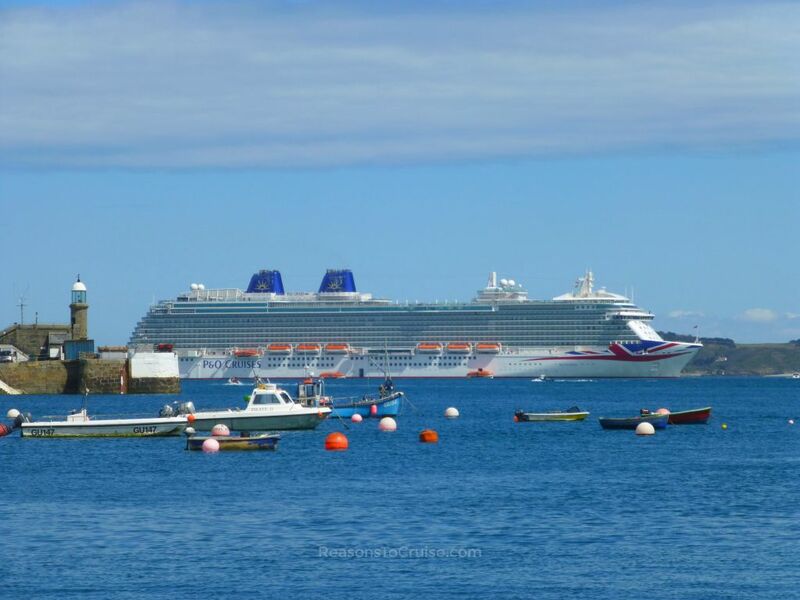 You are viewing mini cruises on Britannia. Click here to see all 2019 and 2020 mini cruises. Sail on P&O Cruises’ latest and most impressive cruise ship, Britannia. Launched in 2015 and christened by Her Majesty Queen Elizabeth II, the large ship is a shrine to everything that is great about modern Britain. The cruise line recruited top celebrity chefs to devise menus, bars and restaurants, and even a cookery club where you can pick up a new skill or two. The ship boasts a £1 million art collection, great pools and deck spaces, a spa and gym, a theatre, boutiques, and more. Kids will love the Children’s Clubs. Britannia tends to sail on short mini cruises to Zeebrugge (for Bruges or Brussels, Belgium) or Channel Island Guernsey. Britannia entered service in 2015 after being christened by Her Majesty Queen Elizabeth II. The 143,000 gross tonne ship carries up to 4,324 at a time, making it a large ship by any standard. Its size, the largest ship built specifically for the British cruise market, means it can offer facilities that smaller vessels cannot, making it ideal for all types of traveller (solo sailors, couples, families, groups, all consisting of everyone from the very young to the very old). There are 13 bars plus 13 restaurants and cafés. The Meridian, Peninsular, and Oriental restaurants act as the main dining rooms on the ship. Horizon is the self-service buffet restaurant. The Lido grill serves poolside snacks, and Grab & Go is perfect for quick bites. Room service is available but most items are chargeable. Speciality restaurants that incur a fee include The Epicurean, Atul Kochhar's Sindhu, Olly Smith's The Glass House, The Limelight Club, and Eric Lanlard's Market Café. Enjoy Westend-style shows in the Headliners theatre, a variety of acts in the The Live Lounge, and dancing in The Crystal Room. James Martin's Cookery Club hosts cookery lessons and intimate dinners. An expert team runs this venue when the TV chef is not onboard. Enjoy retail therapy thanks to several shops onboard. Spot many of the 6,000 pieces of artwork in what has been dubbed "Britain's largest floating art collection", with a value of over £1 million. Children will love the kids' clubs, with several age-define groups hosted in the Reef. Trained staff ensure kids are never bored. Relax in the Oasis spa or the VIP spa terrace at The Retreat. Serenity is a deck space designed to be tranquil. Take a dip in the pool, head to the large gym, or head up to the Sports arena up on deck to stay active. You can read my Britannia Guernsey Mini Cruise review here, my balcony cabin tour here, and my Epicurean Restaurant review here.